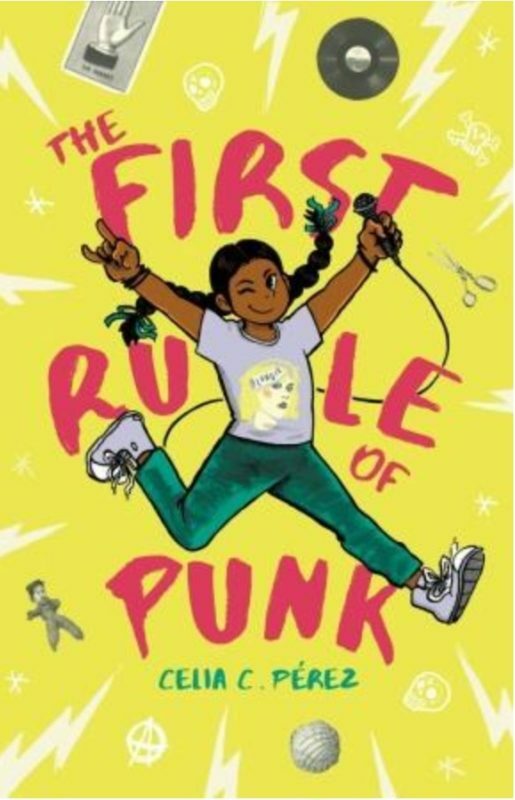 The Brat got a prominent namecheck Friday 9/1/17 on NPR’s “All Things Considered”, in connection with a pivotal role the band’s song “SWIFT MOVES” plays in Celia C. Perez’s new book for middle-school readers, “The First Rule Of Punk”. Click here for the article on NPR. PEREZ: Mrs. Hidalgo is the mom of one of Malu’s classmates. And she owns a coffee shop in the neighborhood, Calaca. And I think she’s the adult that Malu maybe envisions herself as eventually growing into. She is not just a punk, but she is also really into her Mexican heritage. And when I started learning about Mexican-Americans in punk, those individuals kind of served a similar role for me. MCEVERS: Yeah. There’s this one band she mentions. It’s The Brat. And we actually have some of it. Let’s listen. THE BRAT: (Singing) You won’t forgive, but soon forget all the time we have spent. So again I get the shaft. Beer – what beer? I’ll take a draught. MCEVERS: And I – so yeah, Mrs. Hidalgo, like, plays Brat for Malu. And this really starts to change Malu. PEREZ: Yeah. And in that scene, Mrs. Hidalgo says to her something along the lines of, you should know about your history. And up to that point, Malu only – you know, only thinks of her history as what her mom is trying to teach her. And so for her, you know, history kind of feels like this stuffy, unrelatable thing that she just has no interest in. And then when Mrs. Hidalgo introduces this band and says, this is – you know, this is your history, too, then she starts to – I think something starts to click for her.